Gogo pressed Jimmy Ray, its Boeing 737-500 flying testbed, into service this week to show off the latest improvements to the company’s 2Ku inflight connectivity platform. In a pair of test flights out of Newark, analysts and media were treated to what was lauded as the highest speeds delivered to a commercial aircraft in the sky, besting the 100 Mbps threshold across multiple tests. The performance was derived from the “standard” 2Ku antenna hardware provided by ThinKom plus a brand new modem from Gilat and capacity on Intelsat’s Epic 29e High Throughput Satellite (HTS). We began testing the service even before boarding was complete; 2Ku is designed to operate gate-to-gate and our complement of passengers wasted no time in pressing the system into service. 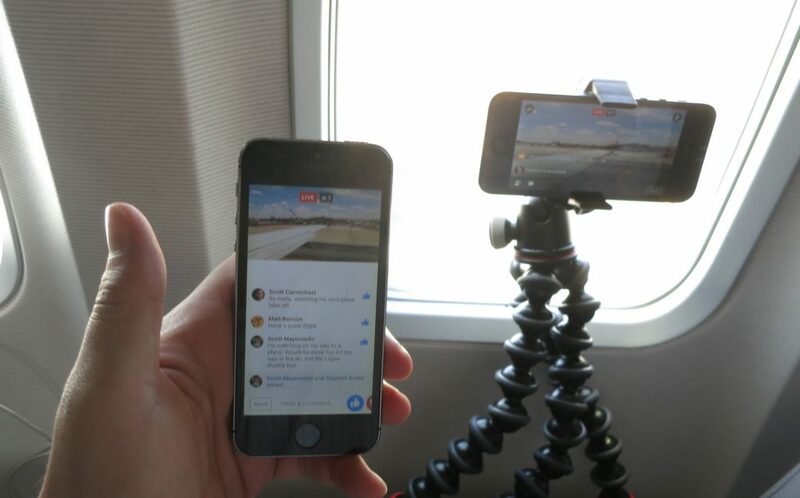 YouTube and Netflix streams flowed, files downloaded and the return link was tested as multiple passengers (your author included) uploaded live video as we taxied to the runway and lifted off. Keeping a steady connection during the banking around take-offs and landings is one of the more challenging parts of delivering inflight connectivity and the system on board delivered perfectly on this trip. Social media applications and streaming video entertainment are the most commonly talked about uses of inflight connectivity but I had real work to do during the flight, too. An IT customer of mine needed some troubleshooting done on a system in their data center and we were promised connectivity similar to what is available on the ground so I gave it a go. The connection required a Cisco IPSec VPN and a remote desktop connection on top of that. Latency adversely impacts those services far more than a streaming video that can buffer, and the difference was noticeable to me during the 15 minutes I spent fixing the problems but I was able to get the work done. These strong performance results are far from surprising, though for those accustomed to the legacy Gogo air-to-ground (ATG) system, seeing it in action can indeed be surprising. The total capacity available on the satellite-based system is significantly greater than what ATG offers and, in this particular test case, that effect is magnified. The legacy Ku and 2Ku installs are not able to “talk” to the new HTS satellite spot beams without the upgraded Gilat modem. In that sense the passengers on Jimmy Ray this week had a satellite beam all to themselves. 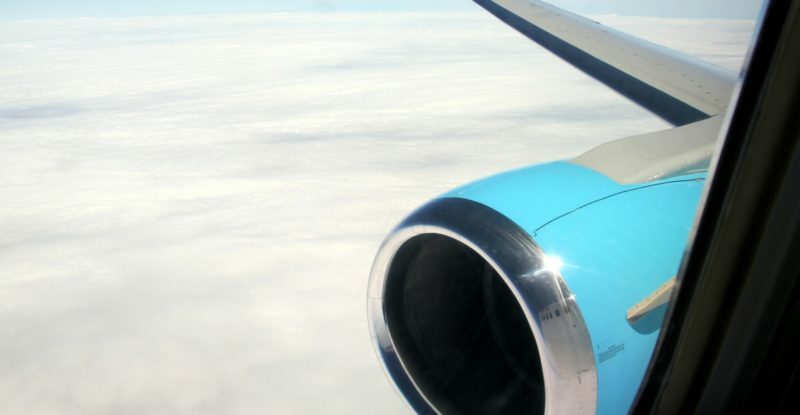 Scaling up to accommodate scores of aircraft and passengers on the same spot beam is something that will be tested over time, but Gogo is confident that sufficient capacity exists to cover needs as the install base grows. Gogo was quick to point out that the flight came early in the testing and tuning cycle for this hardware combination. 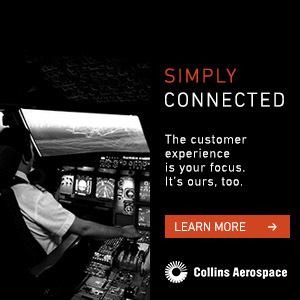 In an interview with RGN on board, company EVP and chief operator officer John Wade noted, “The fact that the system is able to support [download of 33GB+ in an hour to 54 devices] in what is only the fifth flight in this configuration while we’re still tuning and optimizing shows what this system can do.” Those optimization efforts will continue as Gogo pushes towards entry into commercial service for the new modem. Starting in the third quarter of this year, the Gilat modem will be in the default kit installed on aircraft (and will be used for linefit certifications). Existing installs (both 2Ku and the traditional Ku service) will receive the upgraded modem during maintenance cycles over approximately one year, according to CTO Anand Chari. Speaking to the growing demand for satellite capacity, Chari called attention to Gogo’s recent contract for the full capacity of AMC-4 and positioning it to serve the Pacific Rim markets as another reminder of the flexibility and scalability that Ku-band connectivity offers for airlines and passengers. Ultimately the big news from the test flights is that there was no big news, and that’s a good thing. The systems work, as expected. Gogo demonstrated that the next generation of technology will deliver higher capacity to an aircraft while Intelsat showed that the capacity is flying and ready to operate now, not at some future point. With 1,500-ish aircraft set to be upgraded or installed with 2Ku in the next few years that’s all good news.